You won't want to miss one of Branson's largest holiday celebrations with a dazzling variety of singers, dancers, and performers! Take a break from the hectic holiday season and enjoy this show that is sure to put you in the Christmas spirit. 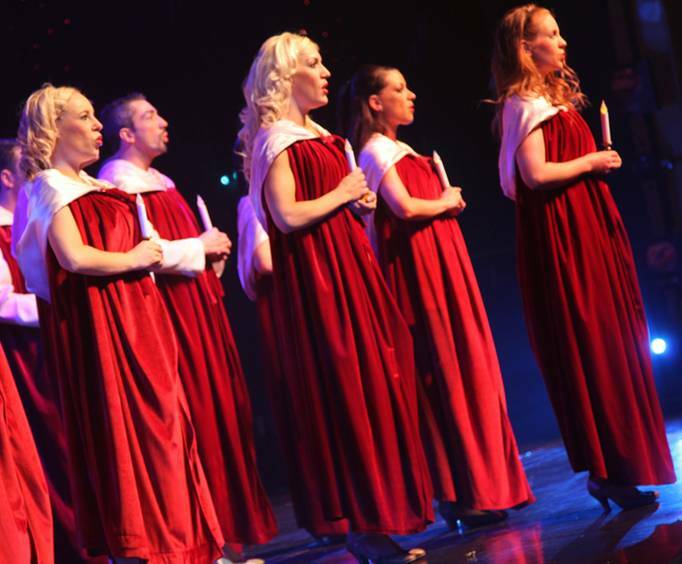 Full of red and white costumes and sparkles galore, this show will amaze you as performers spread yuletide fever. This show will play all of your favorite Christmas tunes including, Happy Holidays, 'I'll Be Home for Christmas,' 'The First Noel,' and more with dancing girls straight from the North Pole! The two-hour sure is guaranteed to put a smile on your face and leave you wanting more Christmas spirit. With lights, colors, and music, this show is known for its eccentricity. The backdrops for the show features Christmas lights, faux snow, and frosted windows to make you feel like you're inside a classic Christmas movie or book. The set resembles the bright and beautiful streets of New York City. You'll see Santa's helpers as they prance around preparing for the holidays to come as well as special scenes from the famous show, The Nutcracker. What is included in the admission price for Christmas In Hollywood presents Christmas Wonderland? Approximately how long is the Christmas In Hollywood presents Christmas Wonderland? Great entertainment and really put us in the holiday spirit. Great show. Very good effort and nice effects. Singers were great but would have preferred live music to the recorded sound track. Thoroughly enjoyed the show. Lots of great dance routines and good voices--we were impressed in 2017 and again this year.